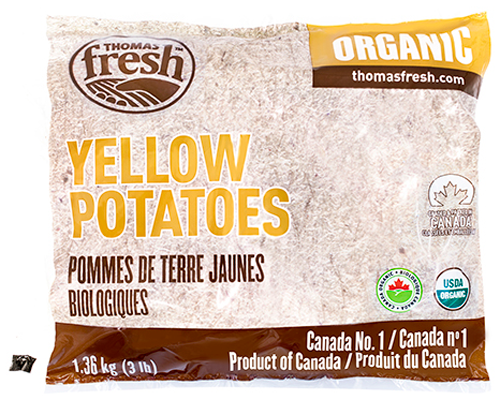 Thomas Fresh takes pride in only supplying the best organic yellow potatoes to Canadians. Creamy taste and smooth skin. Light tanned, yellow or golden look. 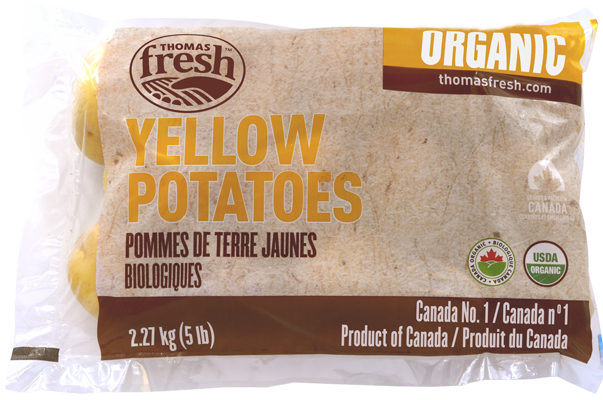 Suitable for grilling, roasting or mashing. Wonderfully versatile in the kitchen. 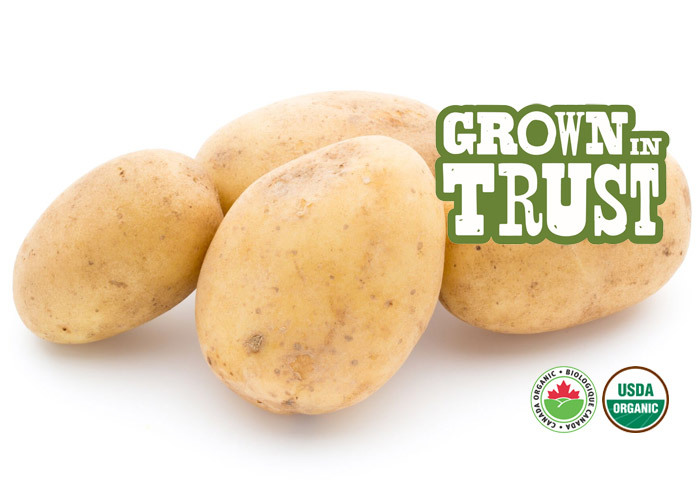 Potatoes are said to have originated 5,000-7,000 years ago in Peru.